I have written a comprehensive guide of 110 pages, filled with full color photos and useful contacts to enjoy this holiday yourself, with friends, family or Star Wars enthusiasts. It contains all the GPS-coordinates of all the shooting locations, interesting places to visit, where to go to eat or rent a boat, tips on where to stay or eat and much, much more. You can order the book by contacting us to order directly from the author, or you can order a copy at LULU.com. Check below for pricing. If you want an autographed and personalized copy, you'll need to order directly from the author. Payment instructions will then be sent via e-mail. PayPal is the preferred method of payment. The book will ship upon receipt of your payment. Apart from the book 'Lake Como & Villa del Balbianello', I wrote two other guides on Star Wars film locations. 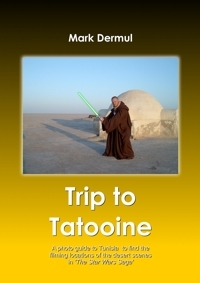 'Trip to Tatooine' is a 90-page guide with full color photos to accompany you on an 8-day journey through Tunisia, to discover the filming locations of the planet Tatooine in the Star Wars Saga. For more information, visit the website www.markdermul.be/tatooine. 'The Force in Finse' is a 70-page guide full with color photos to accompany you on a 8-day journey on the Hardanger Jokulen Glacier in Finse, Norway, to discover the filming location of the ice planet Hoth in the Star Wars Saga. For more information, visit the website www.markdermul.be/hoth. 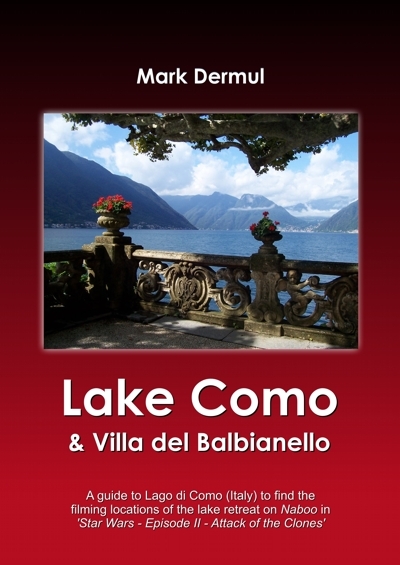 Each copy of the book 'Lake Como & Villa del Balbianello' will be $40 or 30 EUR (shipping included if purchased from the site, shipping not included if ordered from LULU.com, no shipping cost for the downloadble PDF-file!). Each copy of the book 'Trip to Tatooine' will be $30 or 20 EUR (shipping included if purchased from the site, shipping not included if ordered from LULU.com, no shipping cost for the downloadble PDF-file!). 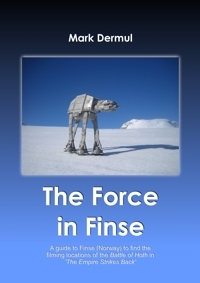 Each copy of the book 'The Force in Finse' will be $30 or 20 EUR (shipping included if purchased from the site, shipping not included if ordered from LULU.com, no shipping cost for the downloadble PDF-file!). All the books are available in PDF-format for only $15 or 10 EUR.